East Africa is the latest oil and gas hub creating much buzz in the industry, thanks to increasing gas discovery success in offshore Mozambique. 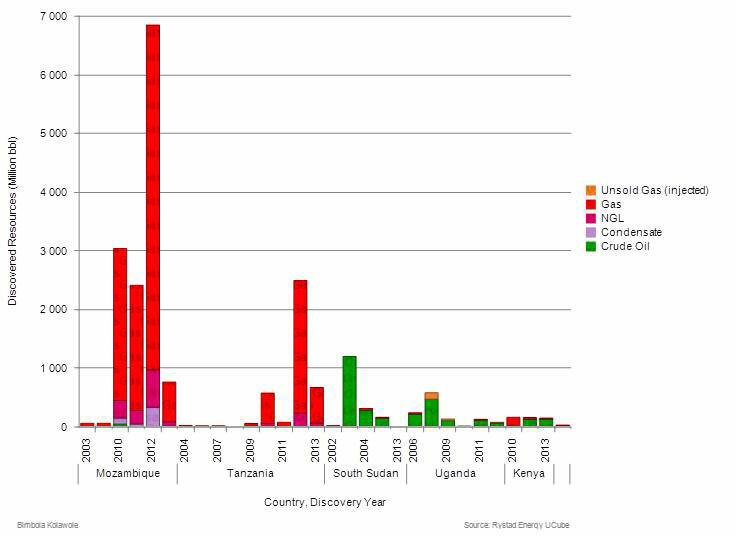 In addition, Uganda, situated not far from Mozambique, made its first oil discovery in 2006. Tanzania followed with the Zafarani discovery by Statoil in 2011. As global energy demand continues to rise, it is important to know if supply will struggle to meet demand. 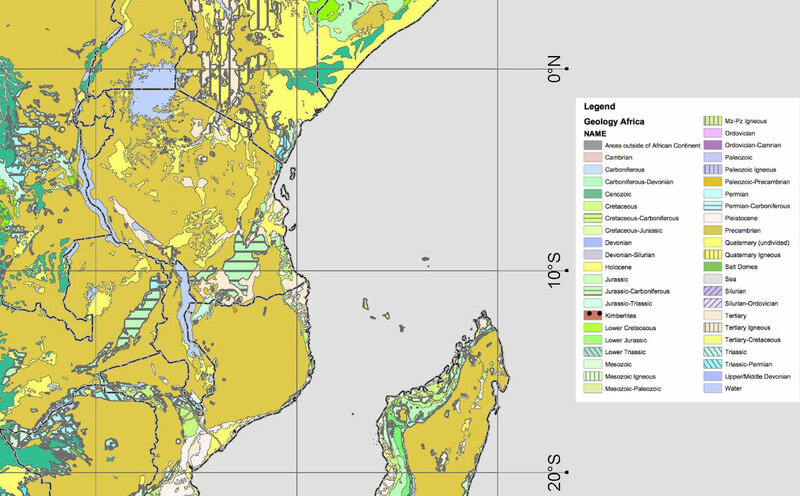 The significant gas finds offshore East Africa have made the region a prolific one. Back in the 1960s, after limited exploration activities were carried out by some Western oil majors, the scale of the resource was not appreciated, and with only a limited local market for any gas discovered, the companies moved on to what they perceived as more promising prospects. A game-changing experience for the region became apparent after exploration activities increased, with companies discovering enough gas to mark the region as the next global LNG supplier, hard on the heels of Australia. In fact, a vast region covering eight countries can be said to be still underexplored. Onshore activities are prevalent in South Sudan and Uganda, with production in the former having begun around the year 2000, while Mozambique and Tanzania are in tune with deepwater gas. Oil seeps were reported along the shores of Lake Albert in the 1920s and the search for oil in Uganda commenced, with the country making its first oil discovery in 2006. Exploration activities in the Albertine Graben have had a 90% drilling success rate, meaning that proven crude oil reserves rose from zero in 2010 to 2.5 Bbo by 1 January 2013, according to the Oil & Gas Journal, while proven natural gas reserves were 500 Bcf at the same date. Although no production has yet occurred in Kenya, exploration activities have been carried out since the 1950s. BP and Shell explored the Mandera Basin from 1950 to 1960. Between 1985 and 1990 Shell searched for hydrocarbons in the Tertiary Rift Basin, while Amoco and Total explored the Anza and Mandera Basins, respectively. However, recent exploration successes by Tullow Oil, Africa Oil Corp and Apache have resulted in a discovered resource of 500 MMboe in the last three years, 50% of which is gas. Kenya is now heading towards its first hydrocarbon production, scheduled for 2019. The Republic of Mozambique, a south-east African country bordered by the Indian Ocean, Tanzania, Malawi, Zambia, Zimbabwe and South Africa, captured the world’s attention following major offshore discoveries in 2010, 2011 and 2012. The last was an especially interesting year, recording high discovery activities in the top five offshore projects of Mamba South, Mamba North, Golfinho, Coral and Atum and providing a total discovered reserve in the year of 53.4 Bcf. The players that recorded success in these projects included Eni, Anadarko, Empresa Nacional de Hidrocarbonetos E.P (ENH – the state-owned oil company) and PetroChina, all of which have ambitions to continue to explore for further reserves. The development of these discoveries will have a significant, positive impact on Mozambique on a macro level. Recently, ENI made a high impact discovery at the Agulha exploration prospect, which could contain 5–7 Tcf of gas in-place. Agulha was drilled in 2,492m of water and reached a total depth of 6,203m. The Nyuni-1 and Ntorya-1 discoveries in the Ruvuma Basin by Aminex in 2004 and 2012, respectively, as well as economic discoveries in offshore Blocks 1, 2, and 4, and Kiliwani North. Production in the Songo Songo gas field, which started in 2004, places Tanzania as the next to watch after Mozambique. 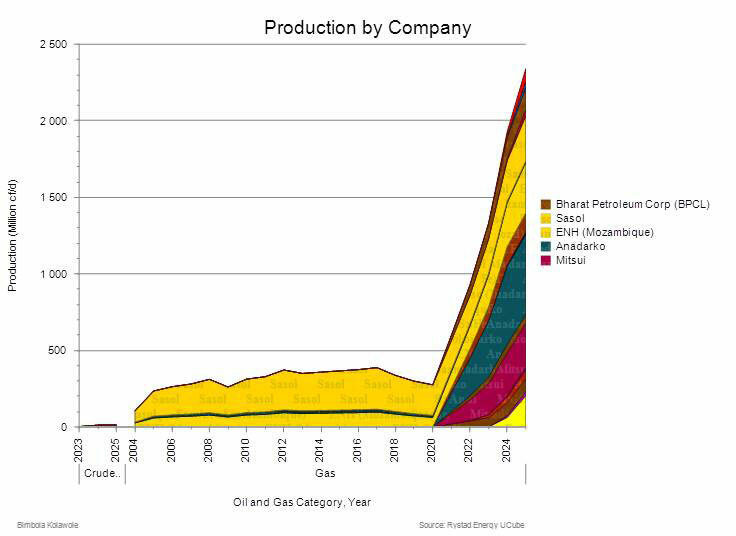 With a relatively plateaued production expected from 2012 to 2025, the opportunities lie in discovered assets, which show a spiked growth potential from 2021 to 2030 according to Rystad Energy’s UCube. 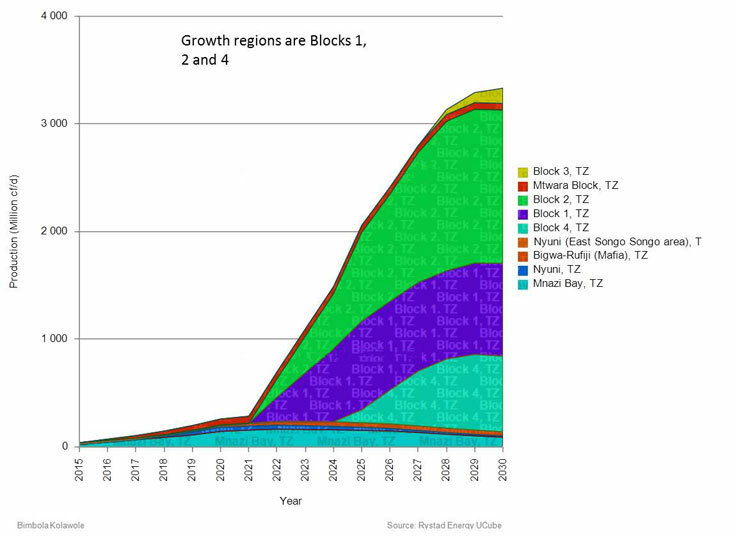 The main drivers of the growth are Block 2, with a 200% spiked growth but which has facility and well capital investments to an estimated US$41 billion from 2014 to 2024, and Block 1 with a planned production start-up date of 2022. Sasol, currently the only producing company in Mozambique, is financed by the International Finance Corporation (IFC), which has 5% equity stakes in the Pande and Temane gas fields. Sasol has a 70% ownership on each field while ENH holds 25%. Sasol have proposed a two-train LNG plant, after signing an agreement with ENH to run a 30 km pipeline from Matola to Maputo and Marracuene to distribute gas to homes and small businesses. Estimated costs for this are US$40 million with an initial phase involving 5.5 Bcfgpy for a period of 20 years. Since winning acreage in the competitive bid round for the Rovuma onshore and offshore, Anadarko has drilled 15 successful wells and exploited seven more discoveries in Offshore Area 1, which it operates with partners Mitsui E&P Mozambique Area 1 Limited, BPRL Ventures Mozambique BV, Videocon Mozambique Rovuma 1 Limited and PTT E&P. 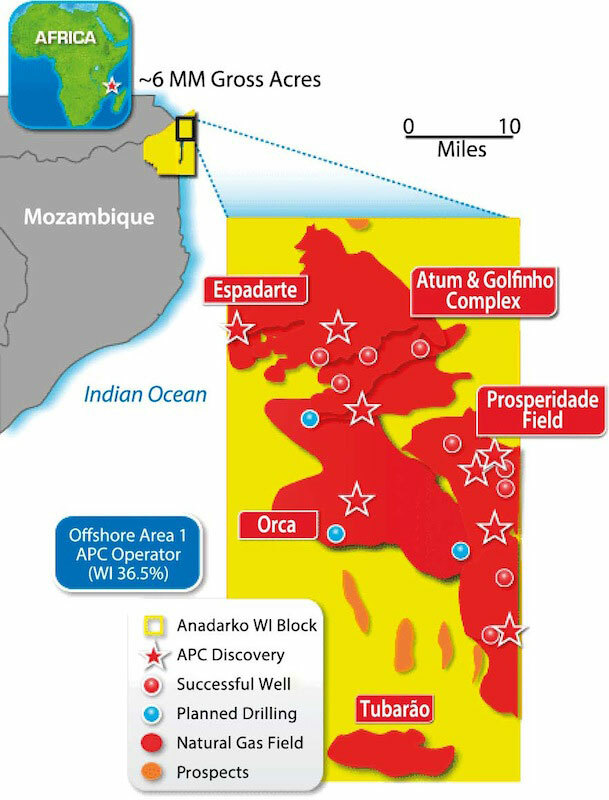 The exploration activities in Area 1 resulted in six of the world’s largest discoveries in 2010, 2011 and 2012; through its local subsidiary, Anadarko Mocambique, the independent and partners have discovered an estimated 40 Tcf of recoverable natural gas. Anadarko is considering a joint venture to monetise up to 33% of its interest in the prolific Area 1, where it claims reported prospective reserves may be over 65 Tcfg. The Golfinho/Atum complex has an estimate of over 18 Tcf of recoverable reserves, while the Prosperidade complex (Windjammer, Barquentine, Lagosta and Camarao) is among the largest discoveries in Mozambique. These significant reserves drive home the exciting opportunity for Mozambique to become a major exporter of LNG globally. The Italian giant Eni operates in the deepwater part of Mozambique’s Rovuma Basin, where Mamba South was the largest discovery made in the company’s operating history. It followed this success with more discoveries in Mamba North, where the Mamba North 1 well was drilled in 1,690m water depth. Another discovery was made in Area 4 in the Coral 1 exploratory prospect, raising the reserve estimate for the block from 75 to 80 Tcf. Recently, Eni made a high impact discovery at the Agulha prospect in 2,492m of water in the southern part of Area 4, which could contain 5–7 Tcfg in place. Prosperidade Field Map. 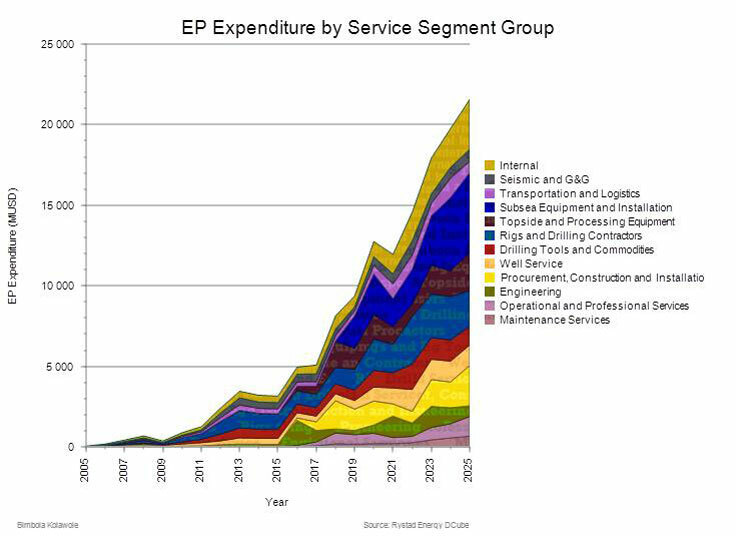 Source: Anadarko Predictably, the oilfield service market in Mozambique has witnessed growth in activities as a result of these recent discoveries. An estimated 25% increase in investment is expected from 2013 to 2025 with the majority going into offshore field development. An estimated US$22 billion will be invested in developing onshore and offshore fields by 2025. Eni and Anadarko have both awarded frontend engineering and design contracts to oilfield service companies such as Technip SA, Subsea7 SA, Saipem and Matt McDermott International Inc. for offshore infrastructural development. However, the infrastructure challenge still looms in Mozambique. Though Sasol is currently the only producing company in Mozambique, Anadarko is confident that its first LNG sale will happen in 2018. The company credits itself for improving logistic resources since entering the country, but to achieve the speculated 2018 planned LNG export start date, more LNG infrastructural development will need to be carried out, costing at least US$40 billion, including a plant capable of exporting 175 MMboe. Mozambique has the potential to become the world’s leading global exporter of LNG, but the viability of this will hinge on demand and purchasing power, although the country’s close proximity to both the Atlantic and Pacific markets will result in lower transportation costs as compared to the current LNG leading supplier – Australia. Mozambique is about to experience a significant turn in revenue generation, employment opportunities, social improvement and infrastructural development. Will the rest of East Africa soon follow? 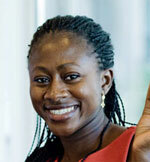 Bimbola Kolawole is responsible for Rystad Energy’s business development in Africa. Her expertise includes business analysis and development, strategy, risk management as well as project management. Bimbola commenced her career at Vmobile/Celtel (now Airtel Nigeria) and continued later at IHS as an Energy Account Manager covering the geographical areas of Africa, the Middle East and Europe. She holds a degree in Economics from University of Llorin, Nigeria, an MSc in Energy Finance from CEPMLP University of Dundee, Scotland and an MBA from University of Leicester, UK. UCube is an online, complete and integrated field-by-field database, including reserves, production profiles, financial figures, ownership, and other key parameters for all oil and gas fields, discoveries, and exploration licences globally. UCube includes 65,000 oil and gas fields and licences, portfolios of 3,200 companies, and it covers the time span from 1900 to 2100.
operations. We consist of highly qualified and experienced consultants, analysts, technology as well as support people that help enhance and create a complete product and service delivery. Our extensive knowledge on global and local markets is driven by the engagement of our international staff members. Consulting services – providing support on strategy, transactions, market assessments, macro trends, etc. 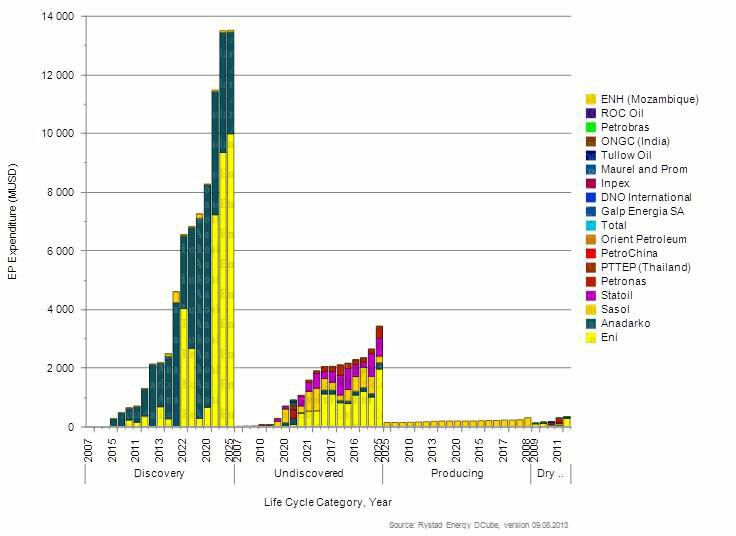 While well geochemistry is a routine service in exploration drilling, surface geochemistry is now growing in popularity, in particular in deep water frontier basins. That's a market Geolab Nor wants their fair share of. 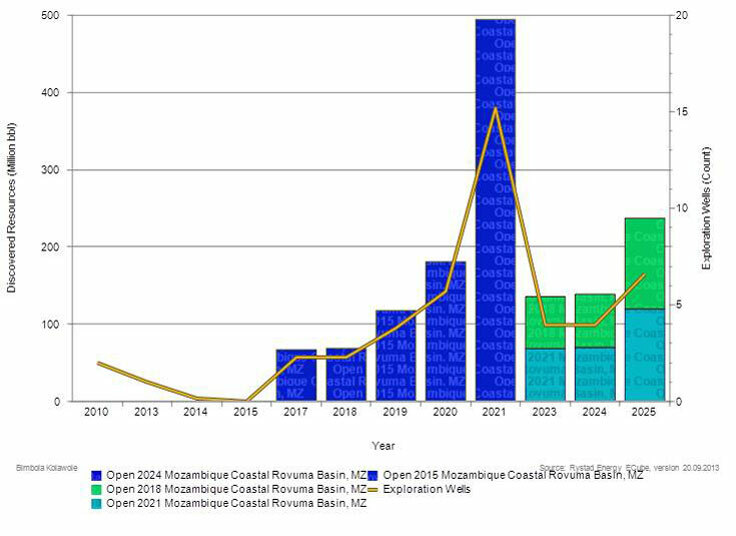 Time was when industry interest in the MSGBC Basin was lukewarm to say the least: not any more. The recent world-class oil discoveries by Cairn-FAR-Conoco-Phillips offshore Senegal and by Kosmos offshore southern Mauritania have shone a very bright light on the region’s hydrocarbon potential.